No trip to Maine is complete without a lobster roll. This popular New England delicacy has been around since the 1920s and features butter-soaked lobster meat on a steamed hot dog bun. While you can find this seafood sandwich all over the state, we strongly encourage you to order a lobster roll at Shannon’s Unshelled, ranked one of the best in New England by Travel and Leisure. 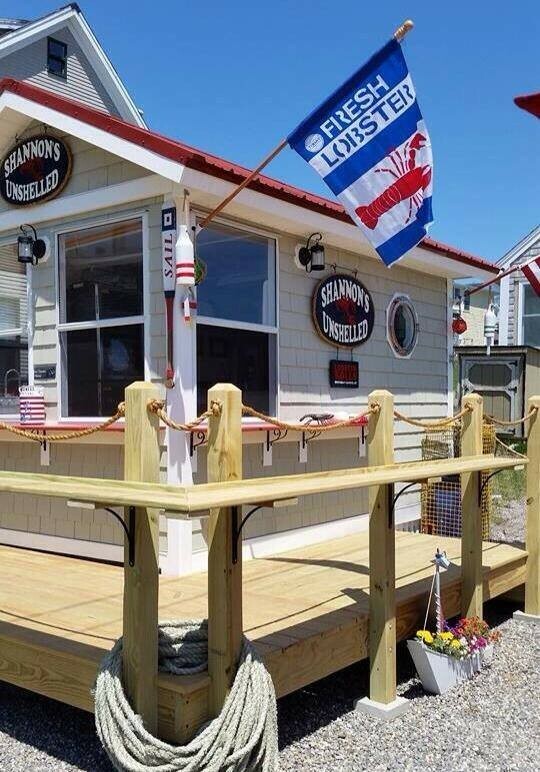 Located in scenic Boothbay Harbor, Shannon’s serves up fresh dishes overflowing with flavor. Find out why you need to check out this eatery during your stay. 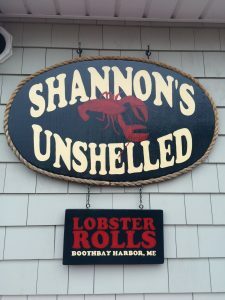 Shannon’s Unshelled is just one of many fantastic restaurants in Boothbay Harbor near our inn. For more information on great places to dine during your stay, request your free Vacation Guide. In it, you’ll find our recommendations for the best local restaurants as well as scenic outdoor adventures, events you shouldn’t miss, and more! 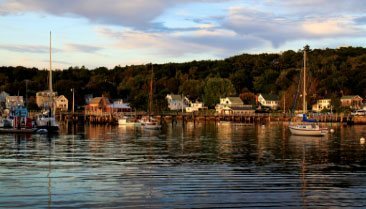 Don’t forget this guide when it comes to planning your unforgettable trip to Boothbay Harbor. 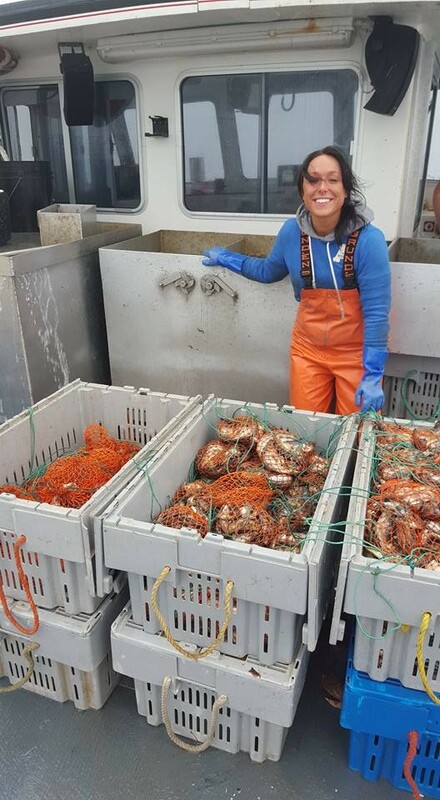 In the summer of 2013, Shannon Schmelzer was working at a local restaurant when her father came in and asked her where he could find a quick lobster roll. She realized that on-the-go lobster rolls didn’t exist in the area, leading her to create Shannon’s Unshelled! 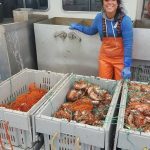 Today, Shannon’s Unshelled provides fresh, locally-caught lobster to Boothbay locals and visitors alike. 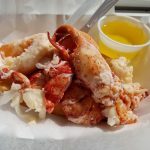 All you have to do is make the easy trip downtown and you’ll have an affordable, high-quality lobster roll in no time. With friendly service and stunning ocean views, Shannon’s is the perfect place to go for lunch or dinner. 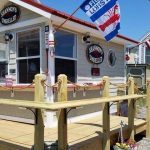 You can grab a roll to go on your Boothbay Harbor adventures, or sit down and enjoy the ample (and pet-friendly) outdoor seating at the lobster shack. Of course, we recommend ordering the famous lobster roll when you go. It includes a whole lobster worth of meat, served on a buttered bun. The best part might be the side serving of garlic sea-salted butter for dipping! You can even ask for your buttery lobster to be served on a bed of lettuce. Each roll comes with a side of salted potato chips, fresh homemade coleslaw, and a pickle. 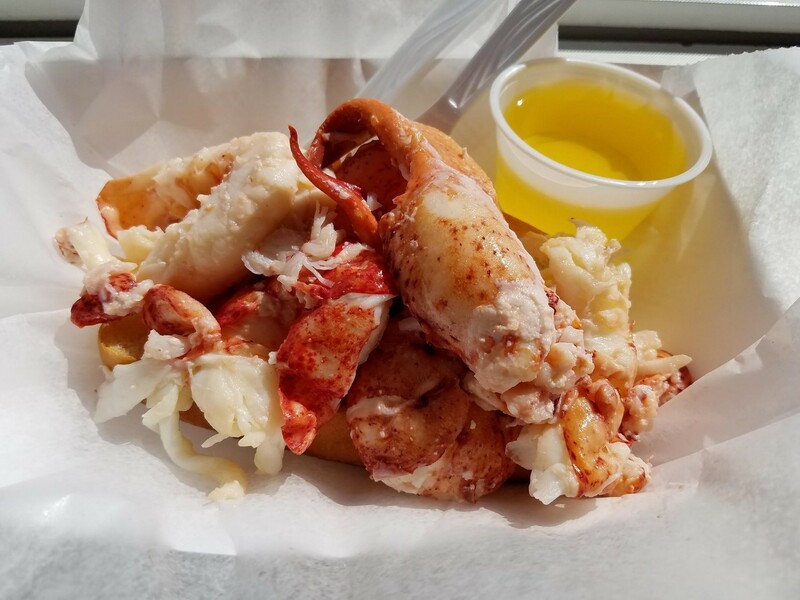 Did you know that Shannon’s Unshelled was also ranked fourth on Travel and Leisure’s list of best lobster roll in New England? Come taste it for yourself and decide! 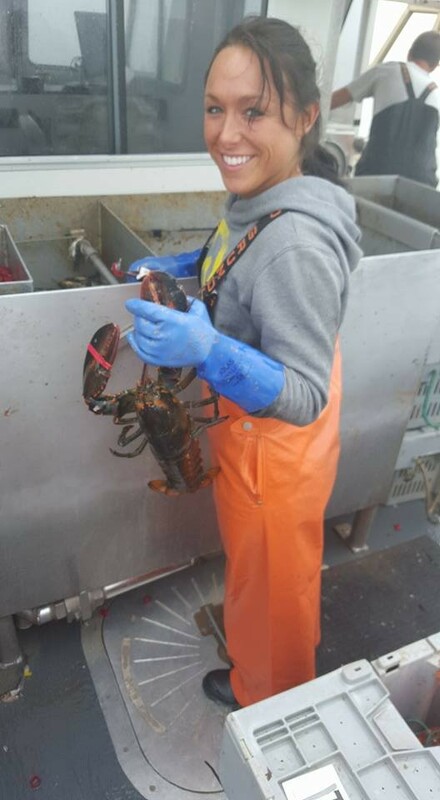 It’s just one of the many incredible places to get seafood, including Boothbay Lobster Wharf. The menu at Shannon’s Unshelled is small but each possibility is made to perfection. 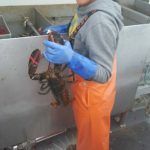 For those who want to try something different, Shannon’s offers lobster salad, grilled cheese sandwiches, hot dogs, and homemade clam chowder. For dessert, we recommend their maple whoopie pies. Wash it all down with a refreshing, organic root beer or blueberry soda. The restaurant typically opens up near the end of May and serves customers seven days a week from 10:30 a.m. to 6 p.m. Be sure to follow their Facebook page for daily updates, specials, and changes to their hours of operation. If you’re craving tasty Maine lobster, you go to Shannon’s. 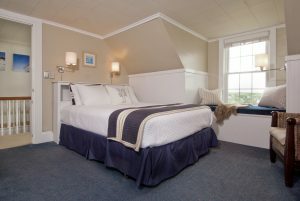 If you want a great night’s sleep, come to the Topside Inn. We offer a wide variety of accommodations for every type of traveler. Plus, we are on top of a hill offering spectacular panoramic views. 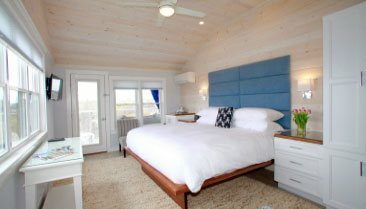 Consider Room 7 in the Main House, with its comfortable queen bed and a dormered window seat where you can see the entire harbor and lighthouses. 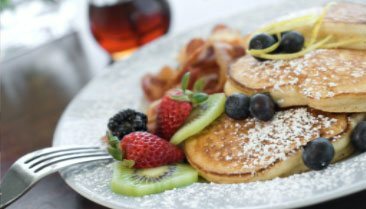 Each morning you’ll wake up to a delicious full breakfast to start your day. Why wait? 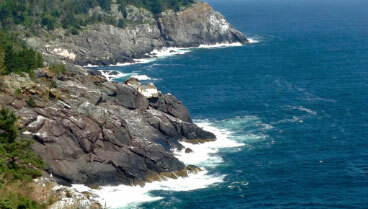 Check our availability and start planning your trip to Boothbay Harbor. We look forward to having you.